LG has unveiled a new TV which can be rolled up to store away or viewed at a range of angles. The new LG Signature OLED R is a fully flexible, rollable screen, which rolls itself up into a soundbar-carrying base when not in use. The technology firm called it a “home entertainment marvel” and something which only “science fiction directors” had previously imagined. The Korean firm has been developing the R as a prototype for some time, but its unveiling ahead of the annual CES technology show in Las Vegas is the first confirmation that LG plans to sell the device. 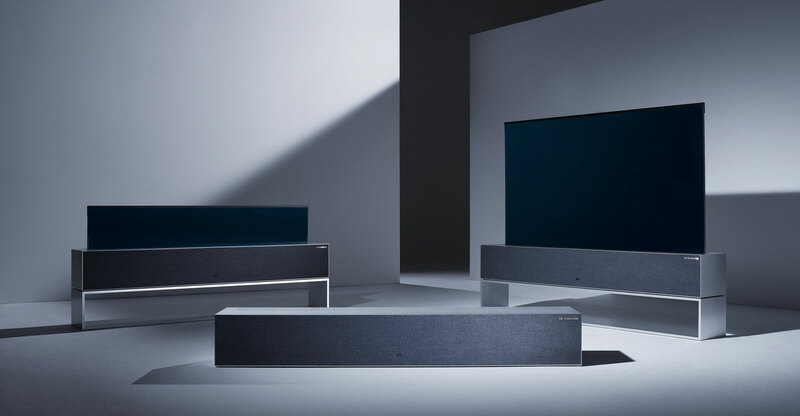 The OLED R can be used in two other modes as well as in its full-screen position — a Line View where the TV only peeks above its base and can be used to show the time or weather information, or the Zero View, where the screen is completely hidden but the soundbar can still be used as a music device. The company is yet to confirm when the device will go on sale or how much it will cost. At a press conference to showcase the company’s latest devices ahead of the opening of CES on Tuesday, LG also announced its 2019 televisions will offer support for both the Google Assistant and Amazon Alexa smart assistants, as well as supporting Apple’s AirPlay 2 wireless connectivity features for streaming to a TV. The company also showed off its new home brewing beer system for the first time, having first announced it last year. The LG HomeBrew uses pods containing yeast, hop oil and flavouring and a “optimised fermentation algorithm” in the autonomous device to create up to 5l of beer in around two weeks, the company said.